Gardening Angels offers a wide range of gardening services that are perfect for brightening up your garden. 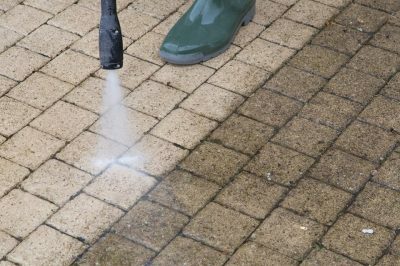 High pressure cleaning services become a popular option during Spring because it is one of the quickest and easiest ways to get that fresh feel around your home and outdoor entertaining area. Pressure cleaning is quite simple, if you know what to do. At Gardening Angels, we use an industrial pressure cleaning machine to compress water that is used to remove dirt, grime, and dust from all of your outdoor surfaces. This treatment can be used all over the garden area, in your garage and on your home’s exterior, this cleaning measure leaves you with instant results and immediately freshens up your property. Here are a few benefits of this cleaning method as well as some good reasons to get your home pressure-washed this Spring. Pressure washing is perfect for getting rid of all that dust that surfaced all over your home and building. The powerful streams remove and wash the dust from your home’s exterior, out of all crooks and cracks and from all of your surfaces. Afterwards, the amount of dust inside and outside your home will be reduced which makes for easy home maintenance. Pressure washing rids your home of dust, dirt, pollen and other elements that increase allergy and asthma episodes. When your home is cleaned off professionally, those with these conditions can enjoy easy breathing with reduced asthma and allergy attacks. The powerful washing actions associated with high pressure cleaning works to remove all traces of dirt and grime that might have surfaced and buildup on your home’s surfaces. When everything is nice and clean, your home, driveway, and walkways will once again be brilliantly clean and vibrant looking. Pressure washing can be used on basically any outdoor surfaces and is even used indoors if property owners want to properly wash out a room. You can use pressure washing on your vehicle, car engine, inside the garage, on the outside of buildings, to clean rooftops, to clear out gutters, to wash your driveway and walkway or to clean off dirt and grime from decks. With pressure washing, there is no need to waste time scrubbing a surface over and over. You can get any surface cleaned off quickly and effectively without all the hard work. One of the best reasons to use this cleaning method is that it is eco-friendly. When you pressure wash a surface, less water is used to get the area cleaned and no harsh chemicals are needed. The natural clean water effectively blasts away dirt and grime without polluting underground water supplies and without exposing your garden to harsh cleaning agents. Pressure washing is completely pet and toddler-friendly. The treatment never exposes anyone to harmful chemicals and blasts away harmful elements like dirt, germs, insects and infestations. This naturally results in a much healthier and safer environment for your pets and children. Don’t like it when strange cleaners are walking about your property all day? Well, then you will love this treatment. Power washing is incredibly quick and Gardening Angels can get the entire job done in a jiffy so you can get back to work or simply enjoy your home’s privacy. Insects love to build their nests in all of those tiny crooks and spaces around your home. Pressure washing is the only cleaning method that can flush insects and all their nests out of these tight areas effectively so you can enjoy a pest free and safe home. When it comes to freshening up your home for Summer, choose high pressure cleaning for fast, effective and family-friendly results!